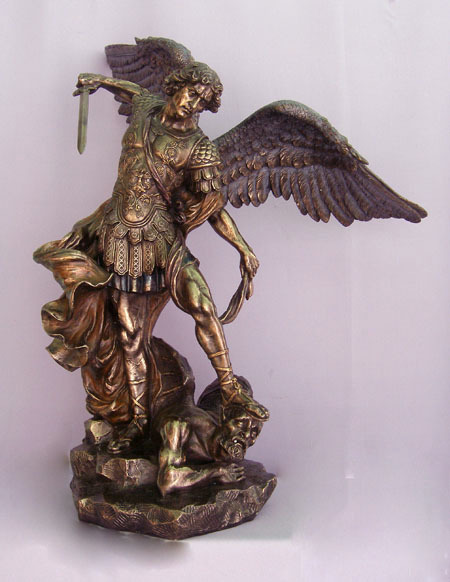 A beautiful St. Michael statue cold-cast bronze and lightly hand-painted, 29inches. Also available in 10inches, SR-74997, and 14inches, SR-71543. Out of stock until around December 5, 2017.